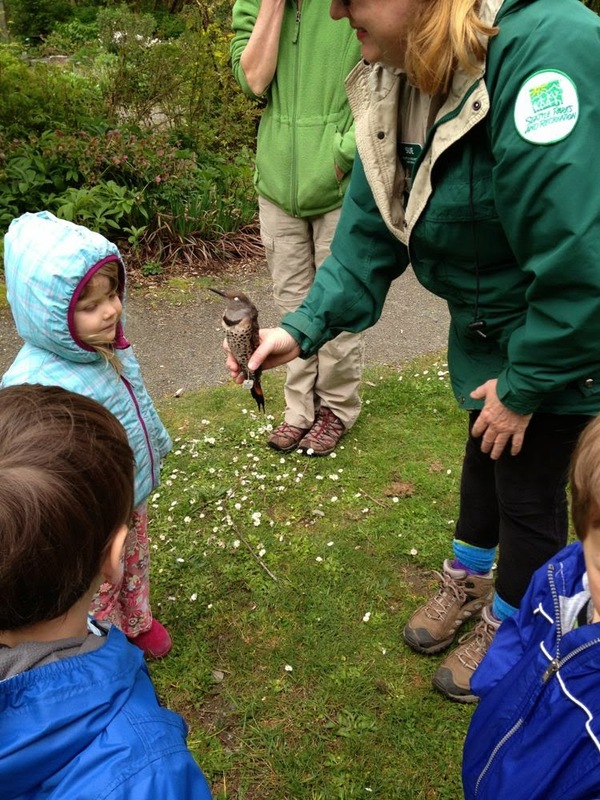 A few weeks ago we joined our friends for a program at Carkeek Park called Holes and Hiding Places, taught by a volunteer naturalist through the Seattle Parks Department. 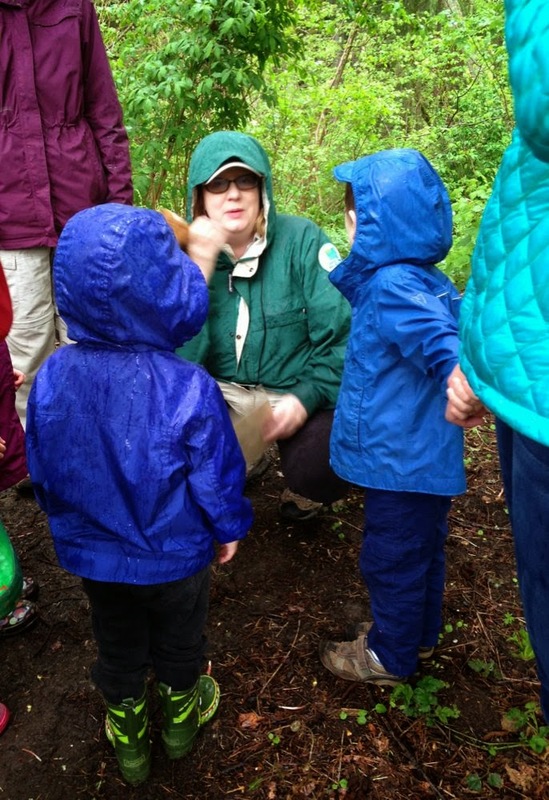 Despite a torrential downpour, the kids had a great time learning about animals that live in holes, burrows, and hollowed-out trees in our region. This particular outing was part of a program called Tot Treks and Nature Play and is geared towards the 2-3 year-old crowd. Other classes include Froggie Frolic, Water Play, and Tidepool Treasures. Best of all, they’re only $4. There are many other programs for children and adults alike and include beach cleanups, tide pool explorations, history programs, and wildlife walks. Check out the full Spring selection here. Call to register: Phone: 206-386-4237 or 206-684-7434. Heyyyy. That’s the flicker that put a giant hole in my house.